HEMPSTEAD, N.Y. – Delaware erased a three-run deficit by scoring four late runs as the Blue Hens posted a 4-3 comeback win over Hofstra on Sunday to capture the weekend series from the Pride. 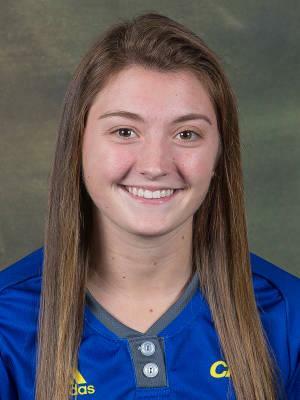 Hofstra (15-15, 3-3 CAA) took the early lead with two runs in the bottom of the first inning on RBI singles by Jaycee Ruberti and Devyn Losco, before the game was delayed for seven hours due to rain. The Pride added an unearned run in the bottom of the fourth as Madison McKevitt hit a sacrifice fly to drive home Ruberti. However Delaware (14-17, 2-4 CAA) rallied back in the top of the fifth after the first two batters of the frame were retired. Hanna Garber and Halle Kisamore each walked to ignite the rally, before Brittney Mendoza doubled down the rightfield line to drive home Garber. Anna Steinmetz then followed with a single to left, chasing home Kisamore and Mendoza to knot the game at 3-3. The Blue Hens took the lead in the top of the sixth as Reyna de Jesus led off with a single up the middle, moved to second on a sacrifice bunt by Sarah Bessel (Conrad), and scored on a single to right by Chayanna Gallardo. Hofstra posted two singles in the bottom of the sixth, but Delaware pitcher Maddi Marsh escaped the jam. The Pride again had two runners on base in the seventh, before Marsh retired Ruberti on a groundout to first to end the game. Marsh picked up her fourth victory of the season after allowing three runs (two earned) on nine hits with three strikeouts in the complete game effort. Steinmetz finished 2 for 3 with two RBI at the plate for the Blue Hens, while Mendoza and Gallardo each added a hit and an RBI. Delaware posted its first regular season series win in Hempstead since sweeping a doubleheader from Hofstra on April 29, 1989.